Microsoft's advert for its new Windows Phone 7 platform has arrived, as the software giant's campaign to win over the public starts in earnest. 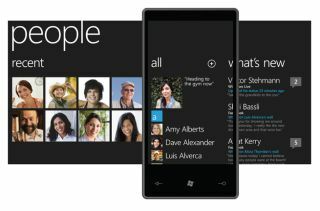 Windows Phone 7 was officially launched this week, with a slew of new handsets set to hit the market this year. The new platform represents a sea change for Microsoft's mobile OS, designed from the ground up to appeal to both consumers and businesses. Microsoft is hoping that it can take on not only Android and Apple's iOS 4 but also RIM's BlackBerry OS. To achieve that, the company is bringing its biggest brands to the phone – with not only Windows and Office roped in, but also Xbox through its gaming functionality and Zune for the entertainment. In the UK, phones from HTC, Samsung and LG will be the first to market, with a Dell handset arriving soon afterwards.